Japan's Rocket Bunny specializes in creating body kits with gargantuan fenders for a variety of vehicles. 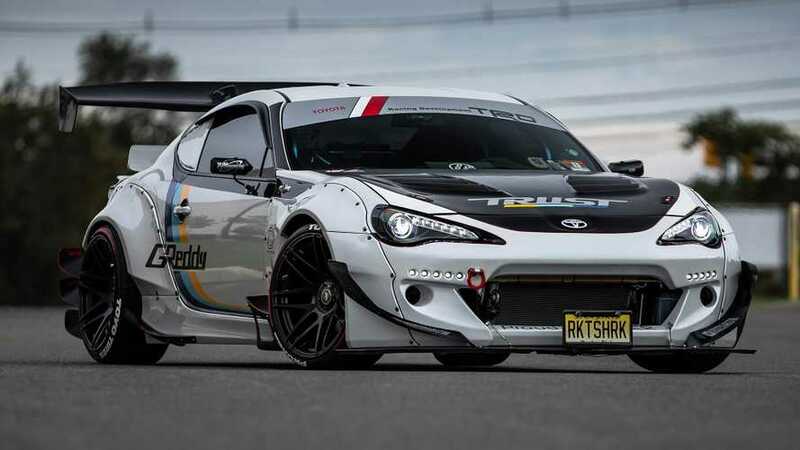 This wild take on the Toyota 86 starts with one of these ostentatious setups and adds even more insanity to create a show car fit for a starring spot at SEMA. The exterior of this highly customized 86 wears Rocket Bunny's V2 widebody kit with the extra addition of canards at the front and rear. The front bumper also wears a Greddy LED kit and an APR carbon fiber splitter. A vented carbon fiber hood replaces the standard piece. Around back, there's a huge diffuser. The combination of massive rear spoiler and equally large wing should provide a gargantuan amount of downforce at the tail. It rides on a set of Forgestar F14 19-inch wheels that are 9.5 inches wide in front and 11 inches wide at the back. To dress them up, there are carbon-fiber center caps and STI valve stem caps. 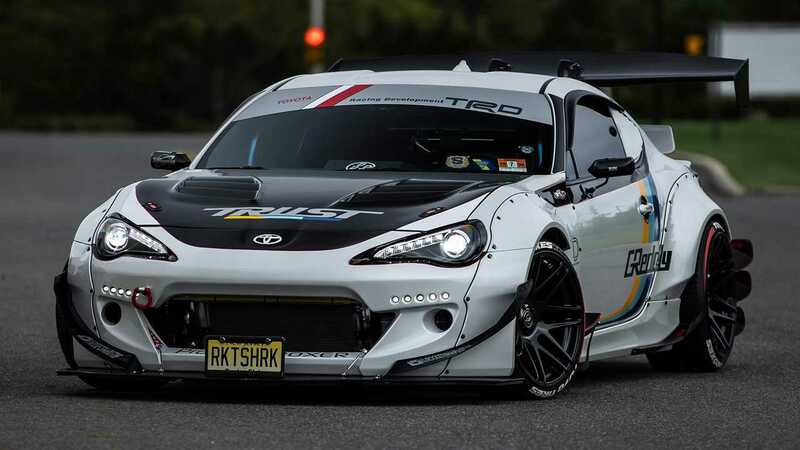 With a look this extreme, you might expect this 86 to have the extra power to back it up. That's not necessarily the case for this car, though. It features an HKS intake and Greddy cat-back exhaust. However, the rest of the rest of the changes are mainly aesthetic. There are pieces like blue fuel rail covers and matching cam plate. In addition, there's a carbon fiber fuse box cover. Diode Dynamics supplies the engine bay LED kit. To keep the engine running at the right temperature, there's a Cusco oil cooler. Mishimoto supplies the radiator, fan shroud, coolant reservoir, and all of the necessary hoses. The 86 now rides on a variety of pieces from Cusco, including the coilovers, differential brace, rear shock brace, steering rack reinforcement brace, and front strut bar. While not pictured here, the 86 also has an overhauled cabin. The driver and passenger sit in red-suede-upholstered Braum Elite racing seats. Carbon fiber and alumium trim now covers parts of the interior. Red stitched Alcantara covers the speaker trim, dashboard, and knee pad. A Diode Dynamics LED kit also lights up the surroundings in there. In all, this 86 is quite an eye-catcher. It doesn't have quite muscle as the Rocket-Bunny-equipped Subaru BRZ packing a General Motors LS3 6.2-liter V8 making 580 horsepower (433 kilowatts) and 673 pound-feet (913 Newton-meters) of torque from a few months ago.